It is nice to have friends that have common interests. I took my friend into the park [Rocky Mountain National Park] to give a few pointers about using DSLR cameras and shot these photos. 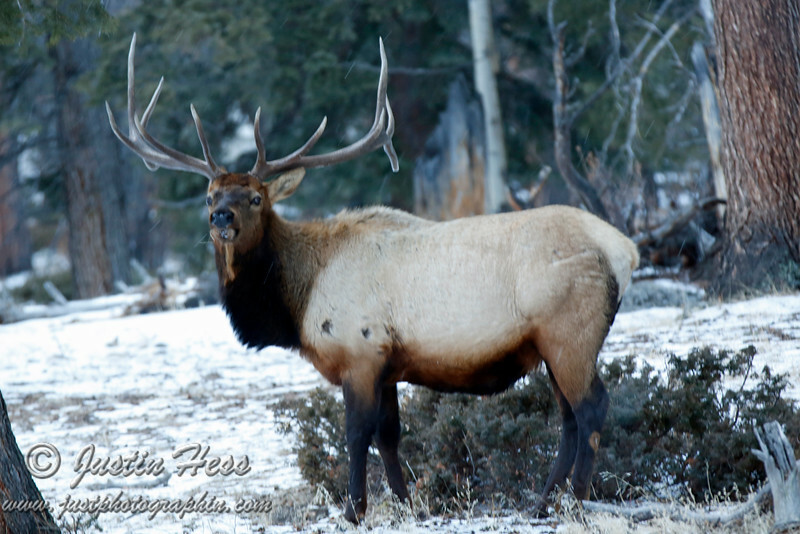 6 x 6 Bull Elk near the west side of Alluvial Fan.